Provide comfort for the family of Carol Rose with a meaningful gesture of sympathy. Carol A. Rose, 82, died peacefully at Mount Greylock Extended Care Facility on April 8, 2019. 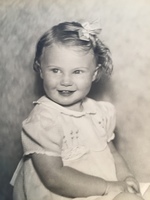 She was born on November 4, 1936 in Pittsfield, MA. She was the daughter of Mr. and Mrs. Howard F. Prentiss of Pittsfield and Richmond, and sister to David L. Prentiss. Carol was a self-taught artist and art lover. 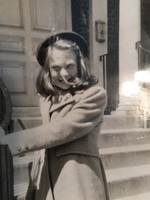 As a child she loved singing, drawing, and writing poems. She was one of two Berkshire County finalists who won the local “Snow White, Prince Charming” contest at the age of 15. Carol became a finalist with her rendition of “Giannina Mia”. She studied for a year under Anthony Reese and took additional lessons from Laura Safford at the Pittsfield Community Music School. As a young adult, Carol loved being active with her community of faith. A member of the First Baptist Church, she was on the board of Christian education. She was also in the Christian Women’s League, the Berkshire Museum Auxiliary and the Berkshire County Historical Society. On April 27, 1957, Carol married her high school sweetheart Robert W. Rose, son of Mr. and Mrs. Howard Rose of Pittsfield. The Rev. Raymond C. Gibson performed the ceremony at the South Congregational Church. 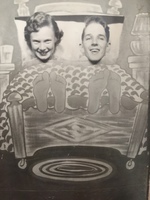 Robert and Carol both graduated from Pittsfield High School with the class of 1954. At that time Carol was a medical secretary for Dr. Herbert Sandick. Robert was on the sales staff of South Street Chevrolet. He eventually held a long-term and successful career working as the General Manger at Eagle Publishing in Pittsfield. Carol began her real estate career with the William E. Bagg agency in 1967 as an associate realtor and quickly became recognized as a business pioneer. After working with the William E. Bagg agency for five years, Carol became general manager of the newly formed Rose Agency Real Estate in 1972. Carol was the owner and responsible for the entire sales operation of the firm. She redefined real estate expertise as an entrepreneur managing a sales force of up to 28 agents. During her almost 30 years as a sales manager and owner, Carol helped many new residents become integrated into the fabric and social conscience of the Berkshire County community. 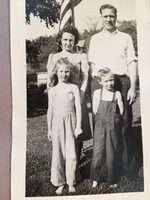 Robert and Carol balanced their careers with raising three children, Jeffrey, Keith and Laurie. They transformed a densely populated forest on the south shore of Onota Lake into the family’s home. After Robert passed away at 53, Carol remained in the family home where she was able share her love for Onota Lake with her six beloved grandchildren: Adelle, Brianna, Courtney, David, Nicole and Olivia. Carol had a lifelong love for nature, creative expression and mentoring talent. Making people feel at home was an integral part of her promise as a friend, realtor, and her legacy as a mother and grandmother. In addition to her family members mentioned above, Carol leaves behind her brother David Prentiss (and Gayle) in Florida, and her sister in law Patricia Mazzeo (and James) in Pittsfield. FUNERAL NOTICE: Calling hours will be held on Friday, April 12 from 4pm to 6 pm at Dery Funeral Home, 54 Bradford Street in Pittsfield, MA. A memorial service will be held at 6:30 pm following the calling hours. Graveside services will be private at the family’s convenience. Memorial contributions may be made in Carol’s memory to the Lake Onota Preservation Association in care of Dery Funeral Home 54 Bradford St, Pittsfield, MA 01201. To send flowers in memory of Carol Ann Rose, please visit our Heartfelt Sympathies Store. Donations are being accepted for: LAKE ONOTA PRESERVATION ASSOCIATION INCORPORATED.